If you are looking for a spot to watch the sunset then Bass Hole should be on your list. Additionally, it is a great spot for small children because at low tide the water is very shallow. There is a picnic area with pavilion. Free parking is available. 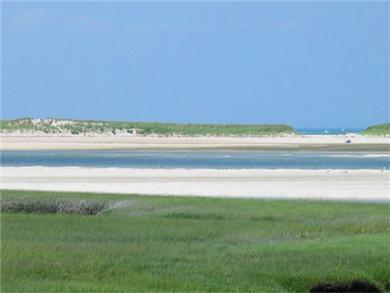 Low tide beautiful sandbars and can walk out very far or lounge in the water all day! There is a boardwalk they walks out through the marshes and lines you up with the perfect sunset pictures. There is a small beach area and the kids found crabs, we saw a lobster walking in the water, and the largest seashells we have found down the cape.